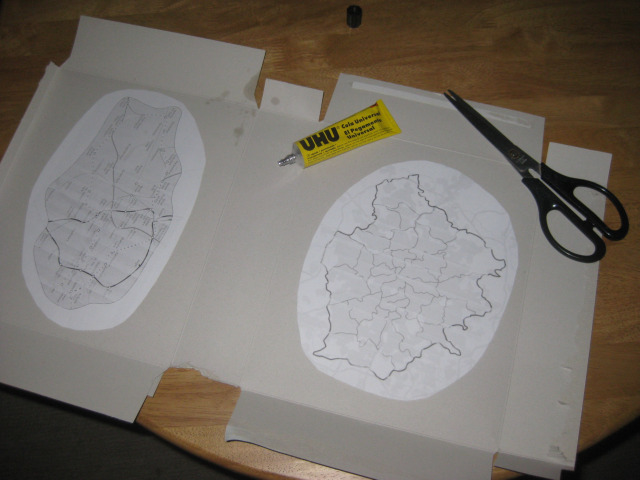 First, glue the maps onto cardboard, here provided by a spent packet of Marks & Spencers cheese cracker selection (other brands are available). 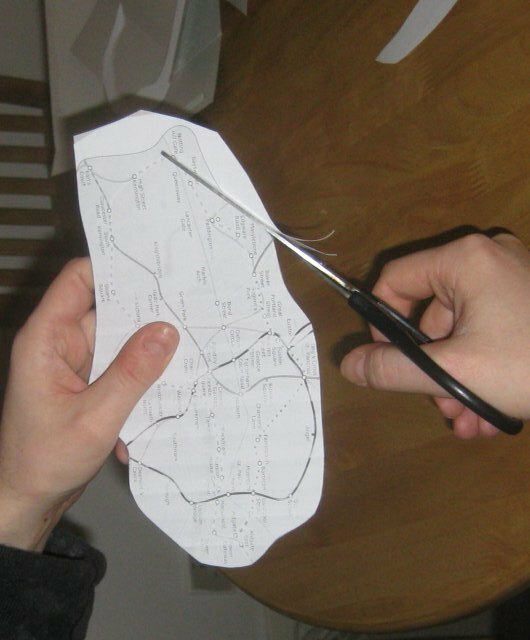 Next, carefully cut around the outline of the territory. Make sure you have a responsible adult on hand to supervise. The centre of Greater London is actually south of the river. The spot lies close to the Soutwark-Lambeth border, approximately where you'll find Lambeth North Tube station. Who'd have thought? The Zone 1 Tube map is a less precisely defined entity, so the results are open to criticism. However, our best approximation put the centre of gravity just south-east of Piccadilly Circus, perhaps at the top of Haymarket. That's pretty close to the 'official' centre of London in Trafalgar Square. And on into the City. The centre here appears to be on King Street, just south of the ancient Guildhall site. Amusingly, it's on the corner of Trump Street. Titter. The statue of Charles I near Trafalgar Square has long represented the centre of London. This weather-beaten monument is the point from which all distances to the capital are measured, and marks the former site of the original Charing Cross. Go back earlier and the centre of our city was often associated with London Stone, that sorry-looking piece of rock hidden in a niche on Cannon Street. But last week, a new (ish) claimant to the honour emerged. 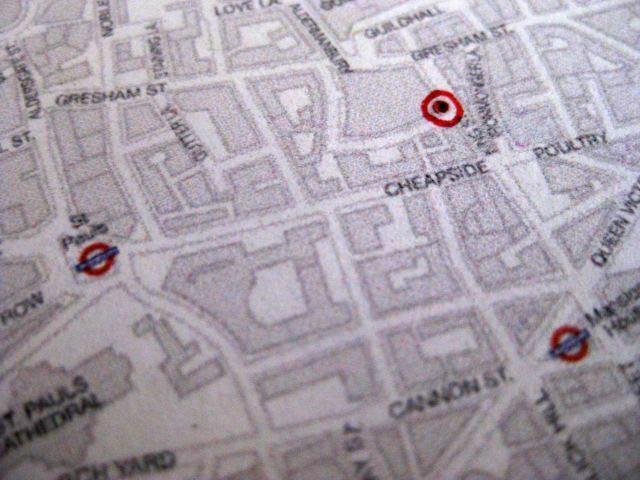 Business advocates in the Bloomsbury-Holborn-St Giles area have suggested renaming their territory as 'Midtown', which could be taken to imply a central position in London's geography. 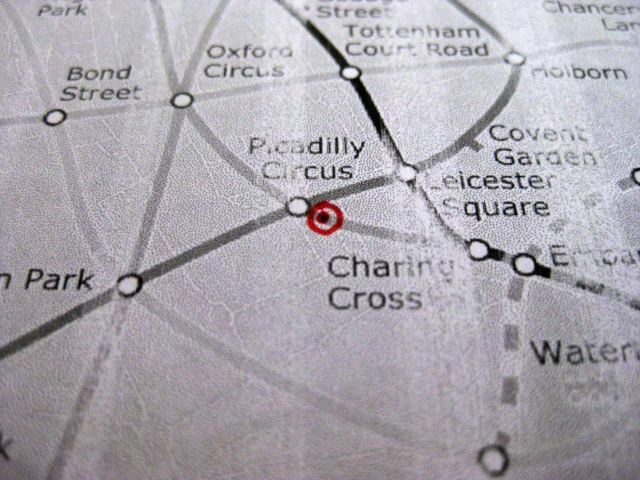 So where is the centre of London, geometrically speaking? Being of empirical bent, we set to find out in good old Blue Peter fashion. Our method was simple. 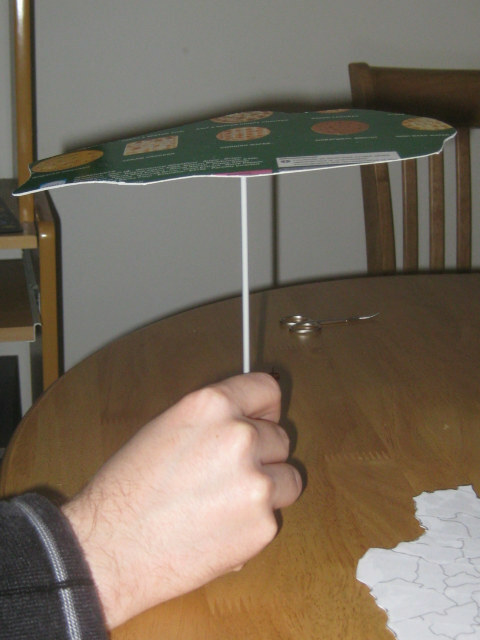 Print out a map of the city, mount it on card, cut it out, and then find the centre of gravity by balancing the shape on the point of a needle. "Would you like a plumb-bob? ", asked the ever-helpful Mrs Londonist. "No thanks," we replied. "And who is this Bob fellow?" 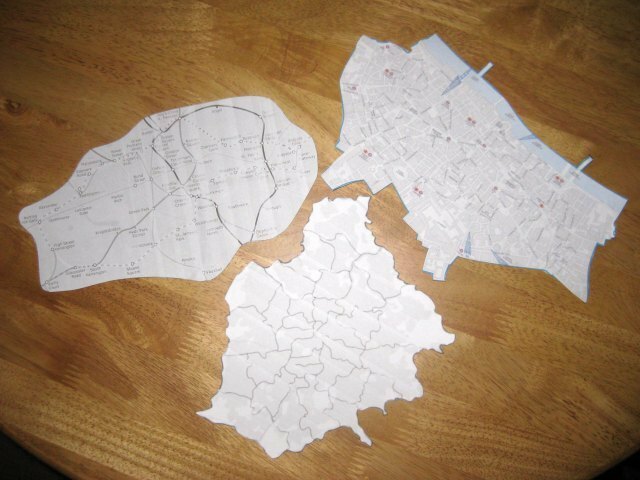 We tried the experiment with three representations of the capital: Greater London (i.e. 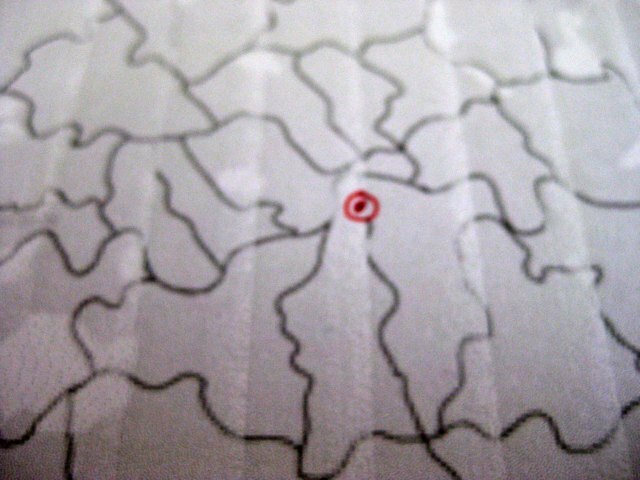 all the boroughs); Zone 1 (as defined by TfL) and the Square Mile (representing ancient London). To find out where, in each case, the experimentally derived centre of London is, please click through the gallery. Hint: it's not Midtown. We welcome peer review in the comments, and urge others to repeat the experiment at better resolution, factoring in elevation and with a more spreadable glue.